Increased surveillance put in place in schools after the murder of a seven-year-old in a Ryan International School in Gurugram has left students feeling "suffocated" and scared, say educationists. 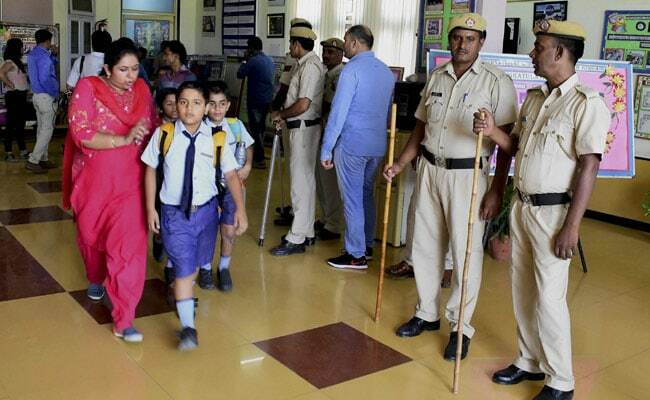 New Delhi, Nov 15: Increased surveillance put in place in schools after the murder of a seven-year-old in a Ryan International School in Gurugram has left students feeling "suffocated" and scared, say educationists. The murder of class-2 student Pradyuman Thakur in Ryan International School in Bhondsi, Gurugram on September 8 sparked widespread outrage across the country, leading to demands for enhanced security measures in schools. "As a society, we need to move beyond the Ryan International School incident and work on how we can create a balanced environment of safety and freedom for our children," said Shefali Varma, Chairperson of The Ardee Schools. Ms Varma was speaking as part of an eminent panel of educationists, lawyers and media practitioners that pondered on the topic of "Free from fear" organised here by The Ardee Group on the occasion of Children's Day on Tuesday. "The Ryan incident triggered fear in everyone's minds. It has led to the drivers, conductors and others who help bring up our children feel insulted and created a divide between the functionaries," said Amita Mishra, Principal, DPS International, Saket, New Delhi. A school bus conductor was initially suspected to have killed Pradyuman, although the needle of suspicion later moved to a student of the same school. There is an urgent need to build and retain trust between parents, children and schools in order to resolve the pressing issue of fear that is plaguing the primary and senior education system in the country, said the experts including clinical psychologist Roma Kumar. Rahul Kanwal, Managing Editor at India Today, moderated the session that identified various problems at the school level and delved into the reasons why schools are being transformed into fortresses taking away the freedom of pupils. The panel also highlighted the need for involving parents in forming guidelines for safety and security in schools so that students do not become anxious and fearful of the surveillance. The experts also opined that different mediums of communication including the social media can play a crucial role in eliminating fear from within the society. "Constant monitoring has made students feel scared and it has suppressed our freedom," said Samridhi Negi, a student of The Ardee School in New Delhi. "I feel like an insect under a microscope," she said.